This Mortal Coil - Blood. Vinyl LP, CD. Bleep. 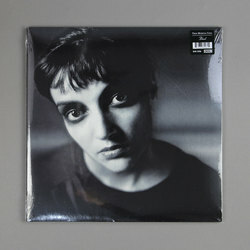 Reissue of the third and final LP by Ivo Watts-Russell’s This Mortal Coil collective here. The 4AD boss assembled quite the cast when recording 1991’s Blood - Kim Deal, Pieter Nooten and Caroline Crawley are but 3 of the many artists who contributed to the LP. All the talent on display is kept in check by Watts-Russell, who guides his artists through a set of elegant Baroque-pop numbers with a steady hand. The cerebral highs of tracks like ‘Andialu’ have a Lynchian quality to them.